Sarah Gleason, at her office at the Clermont CVB, is starting to line up volunteers for the USRowing regatta in July. BATAVIA, Ohio (May 24, 2017) – This is Sarah Gleason’s busy season. 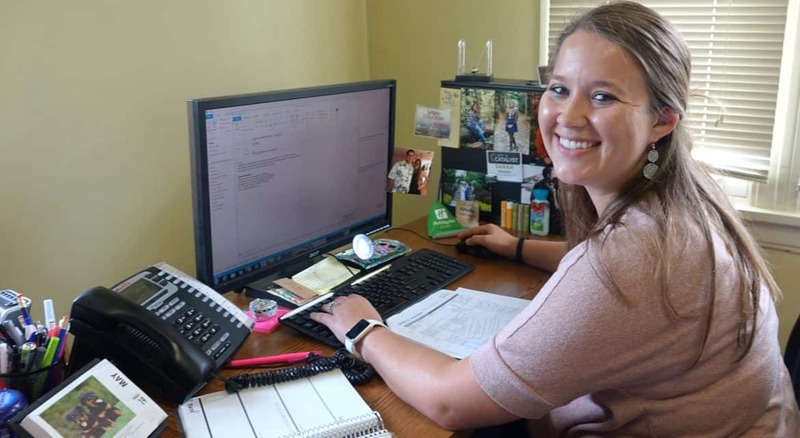 It’s only 7 weeks until USRowing brings its Club National Championships to Harsha Lake at East Fork State Park on July 12-16, and Gleason, the marketing and communications manager at the Clermont County Convention and Visitors Bureau, needs to make sure her volunteers are lined up and ready to go. This marks the third consecutive year that the Club Nationals have come to Clermont County, and Gleason has coordinated the volunteers each year. Now, it’s almost down to a science. She loves her individual volunteers, but she really loves it when a non-profit or club or school signs up. That way, she might get 10 or 20 volunteers all at once. And the non-profit can get a stipend under the giveback program Gleason runs. “If a non-profit donates 10 volunteers or more, or 10 shifts or more, the Clermont Sports Corporation (a division of the CVB that hosts the regatta) will donate money back to that organization,” Gleason said. 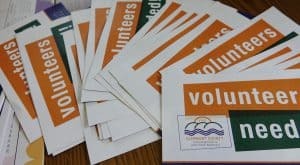 Volunteers are also welcome from the private sector, Gleason said. In that case, the company is recognized as a sponsor. So, who does she need? Gleason says Boy Scout Troop 476 has already signed up to help with trash pickup, and the Clermont Civil Air Patrol will handle parking. The Clermont Board of Developmental Disabilities drives shuttles and helps with food services. And then there are the specialized positions that USRowing needs filled: from weigh-in assistants to wakeless launch drivers to jon boat drivers. The regatta is, by far, Clermont’s largest tourist event, Gleason said. In 2016, 1,884 individuals from 102 clubs, 30 states, and six countries participated. All 1,200 rooms in Clermont County were booked each night of the regatta. And that’s not enough to handle the influx of visitors – rooms are booked throughout Greater Cincinnati. “Last year, a team qualified three weeks before the event,” Gleason said. “The closest hotel room they could find was in Oxford.” The CVB estimates that the event brings in $2.4 million to the area. The CVB and its partners have invested in the facilities at Harsha Lake to ensure that USRowing keeps returning. This has included a beachhouse, which opened in 2015, eight wakeless launches, floating docks, and an improved start area. Gleason is quick to assure volunteers that no experience is necessary for the positions she needs to fill. 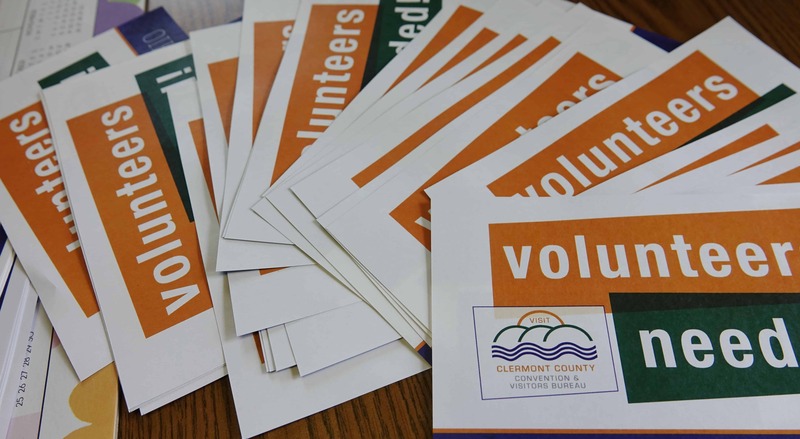 To volunteer, contact Sarah Gleason at 513.582.7190 or at sg@visitclermontohio.com.